(Newser) – In a “move likely to be controversial,” Japanese regulators have granted an operations extension for an aging nuclear reactor similar to the ones at the Fukushima Dai-ichi plant that melted down following the 2011 earthquake and tsunami, Reuters reports. The 40-year-old Tokai Daini reactor, which was also damaged in 2011, was approved on Wednesday for a 20-year lifetime extension—a first such extension for a boiling water reactor—despite previous promises by the government to retire reactors at 40 years. According to Reuters, the decision will help the country’s main utilities provider, Japan Atomic Power Co, which has been “bleeding cash” after the shutdown of two nuclear power plants. Nuclear industries often use climate change as excuse that justify restart of nuclear plants But Japan is natural disaster country,huge disaster increase year by year. Japan's potentiality of renewable energy is beyond nuclear industries. 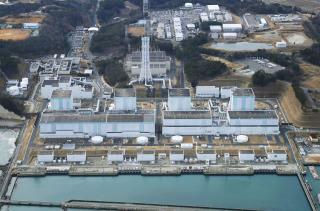 for example,power supply of Kyushu area is enough even if nuclear plants did not restart. But Japanese Abe government and authorities are still obsessed with nuclear power of vested interest. Japan's nuclear regulation has never stopped restart of nuclear plants despite self-professed "most strict safety standard in the world". They had insisted extension of use of nuclear plants as "rare exceptions". actually,they approve extension of nuclear plants many time. Executives or many staff members of Japan's nuclear authorities are full of related person or beneficiary of nuclear industries and person from economy-industrial ministry who want to thrust nuclear power. Even rule that keep independency of nuclear regulation has been ignored completely in Japan. Japan's nuclear regulation has been gradually but surely loosened in the shade of other topics. Japan has no other alternative. Nuclear energy is cheaper & more efficient. Aging population, birth rates in decline....sluggish economy, consumer confidence down.